How AI and Drive Recorders Will Revolutionize Fleet Management - VIA Technologies, Inc. In recent years we’ve seen the commercial Fleet Management sector embrace technological advances to the point where it has become almost unrecognizable from what it was just a few decades ago. The rise of technologies such as ADAS, Drive Recorders and the inevitable integration of AI, means that effective management of a fleet of vehicles and drivers also means making the right investment in hardware at the right time. Let’s consider some of the advances that are shaping a new and revolutionized Fleet Management industry in 2019. The science of fleet management has been years in the making, with a melange of telematics, onboard sensors and manual processes all feeding into complex workflows designed to improve productivity, safety and operating margins. The overall market for telematics is expanding rapidly too, with a market estimated to be worth US$7.31bn in 2017, expected to accelerate to US$18.43bn by 2022 – a Compound Annual Growth Rate (CAGR) of 20.3%. There are a host of reasons for this potential growth, from decreasing sensor costs and increasingly widespread 4G networking, through to rising regulatory requirements. The three areas of safety, security and compliance requirements are becoming major driving forces that are encouraging companies to update existing infrastructure, and adopt the latest tech. While a gradual shift towards full vehicle automation is also underway, attracting significant investment and wider interest, it remains a very distant goal today. However it is encouraging enterprises to take initial steps that pave the way towards a future where true AV is possible. The availability of ADAS (Advanced Driver Assistance Systems) such as the VIA Mobile360 ADAS, means that comprehensive and intelligent driver assistance is within reach. However, not all businesses are ready for full bore ADAS, especially if you take a global view. This is where the advent of drive recorders provides a critical stepping stone for companies that are not ready for the sophistication and complexity of fleet-wide ADAS roll-out. The VIA Mobile360 D700 Drive Recorder is a strong example of a currently-available product that offers benefits similar to that of ADAS. The value of having a stepping stone technology is enormous, allowing enterprise customers to gain access to many of the benefits of advanced fleet management, while minimizing investment risk. It also enables individual firms to begin investigating and developing their own, niche-specific systems based on their own experiences and real-world data. One new approach to Fleet Management is a move that places emphasis on driver monitoring. This is possible thanks to the implementation of dual cameras in products like the VIA Mobile360 D700 Drive Recorder. Having access to clear video footage of the cabin, in addition to the road ahead, allows the implementation of advanced driver monitoring and training strategies. These systems use pre-defined triggers to detect risky driver behavior, providing real-time audio alerts, as well as segmenting and tagging the recorded incident for later review. The result is that, if a pattern emerges from the incidents (perhaps one driver regularly triggers lane discipline alerts) then tailored messages or e-training modules can be automatically sent to the driver to educate and mitigate future behavior. In addition to the obvious value to fleet managers, this tiered approach means that low-level offenders or one-off minor infringements can be dealt with without adding to their workload, allowing them to focus on high-risk and/or repeat offenders. Finally, the use of an automated third party monitoring service removes workplace friction between drivers and management, promoting more positive working relationships. The benefits to enterprise as a whole are enormous; cutting fuel bills and reducing category-three speeding events (where drivers exceed the speed limit by 10-20%) and deterring Penalty Charge Notices (PCNs) as drivers become more careful about where they park, as well as how they drive. Of course, as well as providing a range of options for gentle enforcement of company standards and the rules of the road, Drive Recorders can also provide the means to prevent malicious activity, including the effective tackling of insurance fraud. The VIA Mobile360 D700 Drive Recorder leverages a Full HD video stream of both road and cabin. The higher the quality of footage capture, the better the opportunities for analysis and actionable insights. Featuring two wide-angle (155°) HDR-capable, 1080p cameras that capture footage at 50fps, allows for fine-grained, frame-by-frame analysis of road and driver events. Promptly delivering this data to fleet managers for analysis is also vital, which is where the importance of onboard 4G network support comes to the fore. 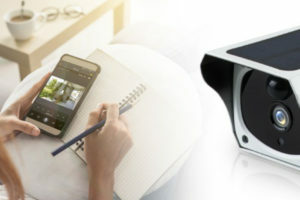 This high-bandwidth connection allows key footage to be automatically synced to the cloud when an incident is detected or manually reported, preventing any localized data loss. To this end, many insurance firms offer discounted premiums if a suitable drive recorder device is installed, partly because of the reduction in fraudulent claims, and the increased efficiency in dealing with genuine claims. However, while video information of the driver and road is important, combining this with vehicle data provides an extra layer of value to fleet managers. The VIA Mobile360 D700 Drive Recorder features CAN Bus integration, which can collect data regarding vehicle idle time, fuel consumption, speed and distance traveled. The result is a more complete data-set that allows management to enjoy a more detailed picture from which to draw insight. One of the most transformational technologies in fleet management has been GPS tracking. For a fleet manager or dispatcher to know the precise location of each vehicle in the fleet is incredibly valuable – for example to better optimize routes, saving fuel and time – and of course it has been a boon for driver navigation too. These GPS-based telematics systems have become expected (and in some situations, government mandated), especially in light of today’s ‘next day delivery’ commercial world. But the benefits extend beyond courier services. A Drive Recorder that combines GPS with on-board 4G support makes an ideal choice for taxi and other transportation companies, providing managers with huge business benefits and minimal hardware investment. The process of automating compliance is of crucial interest to fleet managers across the globe, as is the ability to monitor and improve safety levels. As regulations around environmental issues, worker welfare and general liability concerns comes to the fore, so a connected, AI-enhanced system becomes increasingly valuable. For example, the requirements imposed by the International Fuel Tax Association (IFTA) in the US can be automated, saving painstaking hours of comparing fuel receipts and vehicle GPS data. Meanwhile, maintenance and hours-of-service compliance data can also be recorded and analysed for potentially actionable patterns, and measured against key performance indicators. Devices such as the VIA Mobile360 D700 Drive Recorder are already transforming the fleet management industry. The continued development and integration of AI tools will only accelerate this process. As the barriers to entry are now falling, enterprises of every size and scale can now begin to benefit from this digital driving revolution. Find out how the VIA Mobile360 D700 Drive Recorder can help your business.